I’m realizing that the internet is moving more and more towards video content because people can listen while doing something else. There are people who still prefer reading so I’m still writing my posts up, but I’m also giving the option of watching the video instead. Why you should use a project management tool. 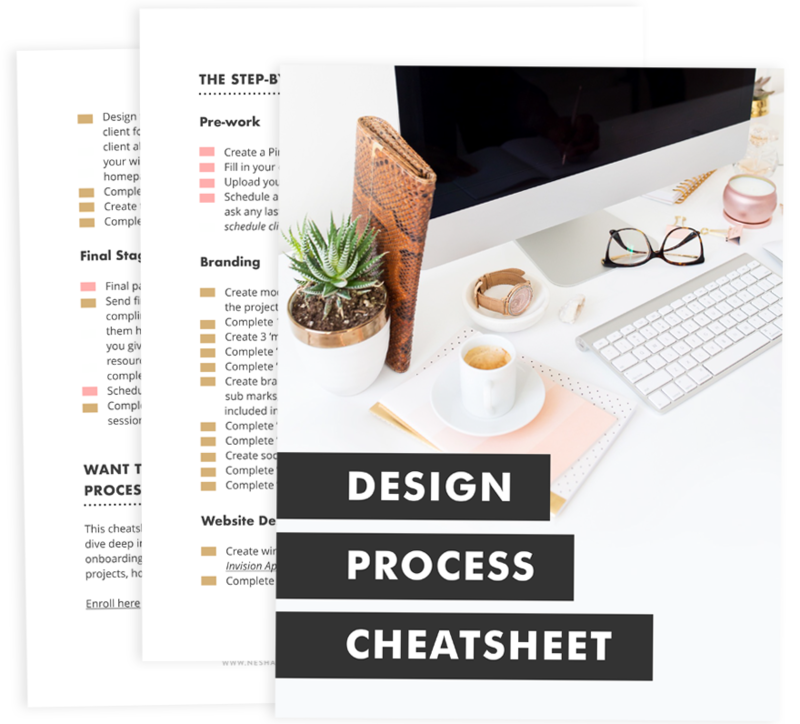 How to document your step-by-step design process. How to use my favourite PM tool, Asana. This opt-in hasn’t gotten as many subscribers as some of my other courses have but I think that’s because it’s really specific. However, that’s a good thing. Even though it hasn’t gotten as many subscribers, it has the lowest unsubscribe rate of all my opt-ins and it converts subscribers into customers really well! My hard work creating this funnel is paying off, thankfully. Lately I’ve been suffering with back pain and aching joints while I’m working. I’m guessing it’s because I sit hunched over a laptop for so long. Some days, I don’t even leave the house and the most exercise I get is walking up and down the stairs! I realized this had to change so I’ve been trying to do 30 minutes of pilates midway through the day and do a few miles on my exercise bike when I can. I can definitely see its made a difference! When I don’t eat healthily, drink lots of caffeine, and don’t exercise, I feel groggy and unmotivated. But since I’ve implemented a healthier lifestyle, my body feels better and my mind feels WAY better. I can work longer, think clearer, and I also feel happier. Don’t leave your health unchecked. Working from home has its downsides, and one of them can be your health. Even if you can only do 10 minutes of exercise a day, it’s worth it. Make sure my business preparation is done. There’s still a lot to prepare and I need to get it done before I go. I’ll have my head down working haaaaard until November 14th when I leave. Make sure I’m prepared to live abroad. You wouldn’t believe how much time and effort it takes to prepare to live abroad, especially if you’re going away for volunteer work and you’re living somewhere poorer! I’ve had to get jabs, take medication for malaria and rabies (!!! ), buy a bunch of summer clothes, find somewhere to rent, sort out transportation and more. I’m looking forward to finishing all the prep I’ve worked so hard on so I can enjoy the actual trip. Deadline Funnel. I’m still totally obsessed with this gem and I’ll be using it to add deadlines to all of my future offers. I’ve only been using it for two weeks and it has already converted a few subscribers into customers. This tool is SO worth the investment! I pay £29 a month for it but it’s already made hundreds. Wire framing CC. If you’re looking for a quick and beautiful way to create wireframes for your web design projects, this is the tool for you. Proof Me. If you’re worried about how to send proofs to your client (do you send PDFs? JPEGS? What???) then give this tool a try. It’s specifically for sending proofs to clients and will also make sure your clients don’t violate copyrights and use all the mockups. You can find lots of VA’s in Heather Crabtree’s Facebook group, Savvy Business Owners. Or anything you don’t have time for OR hate doing!